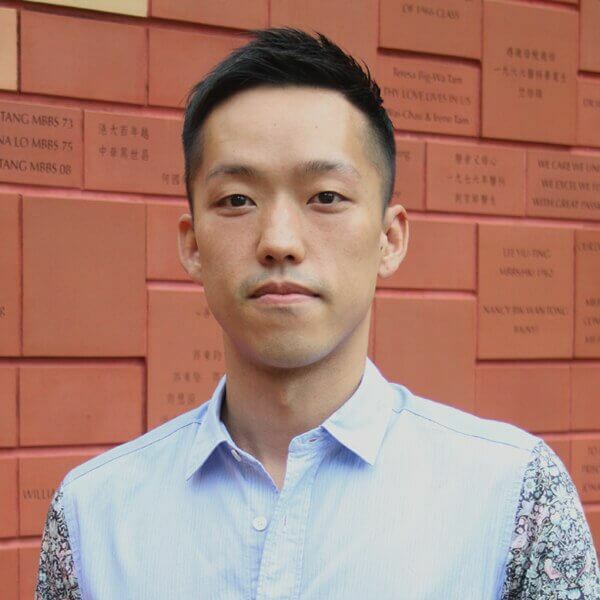 Dr. Tommy Tse is an Assistant Professor in Media and Culture at the Department of Sociology, The University of Hong Kong. He specialises in East Asia’s media and cultural industries, creative labour, consumer culture and sociology of fashion. His work has appeared in Asian Journal of Business Research (MAGScholar), Clothing Cultures (Intellect), Information, Communication and Society (Taylor & Francis), International Journal of Fashion Design, Technology and Education (Taylor & Francis), International Journal of Fashion Studies (Intellect), Journal of Business Anthropology (Copenhagen Business School Open Journals), Journal of Consumer Culture (Sage), Young Consumers (Emerald) and The International Sociological Association E-Symposium (Sage), in addition to his co-authored book Celebrity Culture and the Entertainment Industry in Asia: Use of Celebrity and Its Influence on Society, Culture and Communication (Intellect Books/University of Chicago Press, 2017[Distribution]). Previously, Tse worked in various media and creative companies, including Art Map Ltd., ADO and TBWA. Tse also worked as a project-based copywriter for various global fashion, luxury and pharmaceutical brands for over six years. Before joining HKU, Tse taught at the School of Communication, Hong Kong Baptist University; Central Saint Martins, University of the Arts London; the Culture and Media Domain, HKU SPACE; and Hong Kong Design Institute. From 2015 – 2017, Tse was the Director of the faculty’s flagship summer institute Asia as the Global Future: an annual four-week study programme in Hong Kong (HKU), Beijing (Peking University) and Seoul (Korea University) showcasing the Faculty of Social Sciences and HKU as an Asia’s global university, and an ideal platform for international collaboration, academic exchange and social innovation among the global partner universities. In 2015, Tse was the Visiting Scholar at the National Center for Radio and Television Studies, Communication University of China, Beijing, and at the Fashion Institute of Design, Donghua University, Shanghai. In 2018, he is a Visiting Scholar/Research Associate at University College London (Anthropology Department) and London College of Fashion (Social and Cultural Studies). the ongoing precarization of creative labour markets and its impact on cultural production and creative labourers’ work and social life. From previous fieldwork, I gained access to the rather enclosed fashion, advertising, media and entertainment sectors in Hong Kong, Mainland China and South Korea. Through participant observation in numerous fashion and luxury e-commerce companies, media and advertising agencies, and exclusive industry conferences and events, I conducted in-depth interviews with over 150 creative industry practitioners of various levels of seniority, including fashion reporters, editors, bloggers, designers, merchandizers, stylists, models, photographers, catwalk show and trade fair organizers; celebrities, celetoids, socialites, key opinion leaders (KOL), celebrity managers, advertisers, publicists, advertising executives, and a wide range of broadcast, print and digital media personnel. As an insider ethnographer, I experienced the intricate inner working of cultural production and also ‘studied up’ among these guarded cultural producers, reflecting on their daily work and social lives through ‘walking their walks, talking their talks’. My ongoing research strives to fill a significant research gap between theory and practice of the academic studies of fashion, celebrity culture and creative industries, which are predominantly EuroAmerican-focussed. why the symbolic values derived from various types of profit-oriented cultural production (fashionability, celebrity, brand images, and other creative multimedia contents) do not always empower the Asian states (e.g. China, South Korea) to contest the influx of global cultures, nor consumers (or ‘prosumers’) to construct their preferred social and cultural identities. Working in/out the Automated ‘Smart’ Cities: A Comparative Study of Hong Kong and Mainland Chinese Media Professionals’ Psychological Wellbeing. HKU Faculty of Social Sciences Strategic Research Clusters Seed Funding. Digital Labour and Wellbeing: A Qualitative Exploration of Digital Workers’ Job Insecurity and Mental Health in Mainland China. University of Leicester Research Development Fund. (PI: Dr. Yimei Zhu [Media, Communication and Sociology, Leicester]. Project Date: 01/03/2019 – 31/12/2019. ‘Cultural/Creative Labour and “Neo-Precarity”: Emerging Challenges and Responses of Precarious Workers in Chinese Cultural and Creative Industries’. HKU Seed Fund for Basic Research. Project Date: 01/09/2018 – 30/11/2018. ‘Food for Thought, Food for Globe – Reduction of Meat Consumption in Hong Kong’s Schools’. Funded by Knowledge Exchange Project Fund (KE-ID-2018/19-80). Project Date: 01/09/2018 – 30/06/2019. ‘Green a Difference: Reduction of Animal Consumption in Hong Kong.’ Funded by Knowledge Exchange (KE) Impact Project Funding (KE-IP-2017/18-66). Project Date: 03/08/2017 – 30/06/2018. ‘Size Does Matter: Reflecting Our Attitudes and Knowledge about Non-Human Animals in Urban Hong Kong.’ Funded by Interdisciplinary Knowledge Exchange (KE) Project Fund (KE-ID-2015/16-20). Project Date: 01/09/2016 – 30/08/2017. ‘Creative Industries in Flux: A Critical Investigation into the Challenges, Agency and Potential of Cultural and Creative Workers in Hong Kong.‘ Funded by Public Policy Research Funding Scheme (2015.A8.035.16A). Project Date: 01/07/2016 – 31/12/2017. ‘Good Work, Bad Life? Demystifying the Glamour of Creative Labor in Advertising Industry.‘ Funded by HKU Seed Funding Programme for Basic Research. Project Date: 01/06/2016 – 31/05/2017. ‘Co-creating Fashion in the Post-Industrial Society: A Comparative Analysis of Creative Industries in China and South Korea.‘ Funded by Early Career Scheme (ECS/27610115). Project Date: 01/09/2015 – 31/08/2017. Peirson-Smith, A. & Tse, T. [in alphabetical order] (2019, forthcoming), Hong Kong Creative Industries in Flux: A Critical Investigation into the Challenges, Agency and Potential of Creative Workers. United Kingdom; New York: Routledge. Cheng, K., Leung, V. & Tse, T. [in alphabetical order] (2017), Celebrity Culture and the Entertainment Industry in Asia: Use of Celebrity and Its Influence on Society, Culture and Communication. Bristol, United Kingdom: Intellect; Chicago: University of Chicago Press (Distribution). Tse, T. (2016), “Four myths of fashion—An ethnographic research on the fashion media industry in Hong Kong and Mainland China”, The International Sociological Association E-Symposium (Sage Publication), Vol 6, No.1. 1-16. Tse, T. & Tsang, L.T. (2017). “From Clicks-and-Bricks to Online-to-Offline: The Evolving E-tail/Retail Space as Immersive Media in Hong Kong and Mainland China”, Retail Design: Theoretical Perspectives, edited by Anthony Kent and Ann Petermans, United Kingdom: Routledge. Tse, T. (2015), “Beyond Freudian narcissism and the cowboy myth” in Ways of Queering, Ways of Seeing, Edited by Jo Grzelinska & Jill Cox, Oxford, United Kingdom: Inter-Disciplinary Press, 205-224. Tse, T. & Wright, L.T. (2014), “Luxury brands and deriving fashion meanings in a media context in Hong Kong” in Luxury Brands in Emerging Markets, edited by Glyn Atwal and Douglas Bryson, Palgrave Macmillan, 155-165. Tse, T. “香港文創產業一片風光背後”, Hong Kong Economic Journal, 21 November 2015. Print. Tse, T. “搞「好」創意 談何容易？審視文化及創意產業的業內實況”, Hong Kong Economic Journal, Nov 28.2015. Print.